Oracle has announced a range of machine learning based updates to its cloud enterprise resource management (ERP) and human capital management (HCM) suites. Among the ERP Cloud's new artificial intelligence capabilities are supplier recommendations which can categorise and rank suppliers to 'optimise the procure to pay process'. The feature combines the application's data on suppliers, purchase orders, invoices, payables with external data sources so businesses can "gain unparalleled insight into their company's supplier ecosystem," Oracle said. Similar data contributes to the 'intelligent payments' feature which allows vendor specific offers to be generated based on vendor profiles and risk data, "in exchange for early payment of outstanding payables". Machine learning is also being brought to access controls to constantly examine all users, roles, and privileges against a library of active security rules. "This include more than 100 best practices, configurable rules, across general ledger, payables, receivables, and fixed assets to help protect business data from insider threats, fraud, misuse and human error," Oracle said. In HCM, machine learning backed feature 'Smart Sourcing with Best-Fit Candidate' is being pitched as a way to reduce recruitment times and employee turnover. Rather than work solely on candidate profile and interview answers, businesses can now look at factors like likelihood to accept, performance predictions and expected tenure. Across a number of its cloud applications, Oracle has also released 'Intelligent Process Automation' to enable the automation of grunt work and labour-intensive tasks so employees can be redeployed. Chatbots have also been introduced to both Oracle ERP Cloud and HCM Cloud. For ERP an expense reporting assistant allows employees to take a photo of a receipt to create an expense claim, which can notify them about whether it is likely to be approved. It promises to "improve controls and audit compliance by processing expenses with greater efficiency and accuracy" Oracle said. In HCM the company has introduced a 'Scalable HR Concierge with Digital Assistants', a chatbot which can be trained on company HR policies and can interrogated by users with a chat interface. 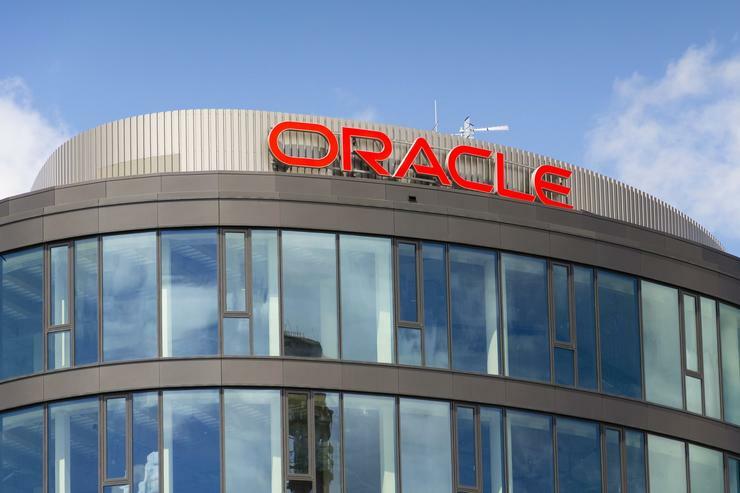 Oracle said the bot could "increase employee engagement and satisfaction, while also improving HR team productivity by enabling employees to quickly and easily get answers to common HR questions". Oracle introduced chatbots to its Mobile Cloud in 2017. They use deep learning-based natural language understanding (NLU) to comprehend and determine intent of conversations, and through integration with existing business application data, can then automatically respond. The University of Adelaide last year piloted an Oracle-based chatbot to handle the tsunami of enquiries that come at the end of the academic year from prospective students regarding ATAR bonus points.